Safety is our biggest concern. Of course, skydiving has a greater risk than bowling or playing putt putt golf. Jumping out of an airplane is always going to carry some risk. We free fall at average speeds of 120mph, falling for one minute and then floating down for five minutes. The goal is to provide a safe, gentle landing under a perfect parachute. No Limits Skydiving takes steps to make are tandem skydives as safe as possible including paying constant attention to equipment. All of our airplanes have a complete inspection every 100 hours. The aircrafts are inspected by a certified A&P Mechanic. They complete inspection required by the Federal Aviation Administration (FAA). This inspection covers every part of the plane, from the engine to the tires. 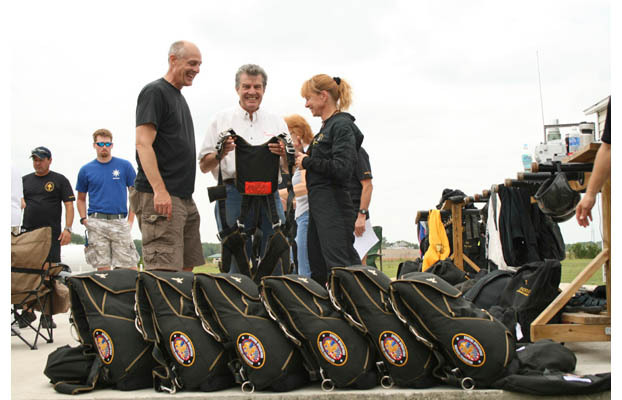 All United States Parachute Association Skydiving Schools follow a set of strict safety regulations. These rules cover everything from parachutes to the aircraft used. 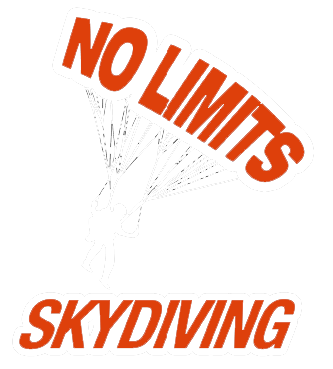 No Limits Skydiving™ is a group member of the United States Parachute Association and strictly follows these rules along with rules from the FAA. Through thousands of skydives, our staff has made safe and successful landings with no injuries; not even a sprained ankle! We understand that each and every customer is special to someone else, and when you skydive with us, you place your trust with us. We take that trust seriously, and strive to make your first jump fun, exciting, and above all, safe. Matthew Fitch, the owner of No Limits Skydiving™ has had more than 9,000 skydives throughout the country, from recreational skydives, to jumping into the L.S.U./VT football game at night, in front of 96,000 people. He has hired the best staff in the skydiving industry to make sure your skydive is the safest and most enjoyable experience of your life. All staff members are ex-military members who have been involved with the skydiving industry for more than 20 years each, and thousands of skydives. 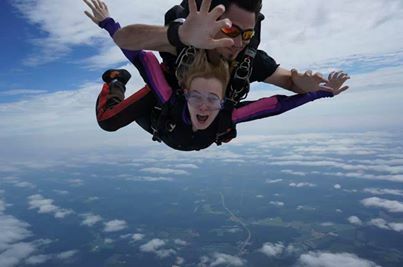 The instructors at No Limits Skydiving™ are full-time skydivers. Many skydiving schools use instructors who only skydive part time on weekends. For our instructors, this is their career. With No Limits Skydiving™, customers are assured that they are with the highest qualified instructors in the area. No Limits Skydiving™ uses Tandem Parachutes developed by Strong Enterprises. Strong Enterprises has built skydiving equipment and parachutes for for 25 years. They are the leader in skydiving technology. Strong Enterprises has many rules and procedures governing how their systems are treated and inspected. We send the entire parachute and container to their headquarters for inspections as required for a complete inspection and maintenance. Tandem parachute containers actually contain two parachutes: a main and a reserve. The reserve is inspected every 6 months by a F.A.A. Certified Rigger. It is also repacked before being back into service. Each one of our tandem systems is installed with a device called a Automatic Activation Device. These devices are installed in every parachute system at No Limits Skydiving. The are used to automatically deploy a parachute in the unlikely event it was unable to be deployed manually. The device determines if a skydiver is falling too fast. In the case of not having a parachute deployed by a certain altitude, the A.A.D. will automatically deploy the reserve parachute. This is a back up system that ensures a parachute will be deployed under any circumstance. Strong Enterprises is the main supplier of civilian tandem equipment and their products are used all over the world. Strong also supplies the United States Military with much of their parachute technology. They are responsible for the military’s emergency parachutes along with their cargo delivery chutes. Strong Enterprises’ tandem parachutes were used in a special skydive made over Mt. Everest in 2008. They were also selected to for a world record tandem skydiving attempt in 2009. The goal was to make the most tandem skydives in 24 hours. If Strong tandem parachutes can be used to set a world record, there is no doubt that they are great equipment. No Limits Skydiving™ is proud to use Strong Enterprises tandem systems.